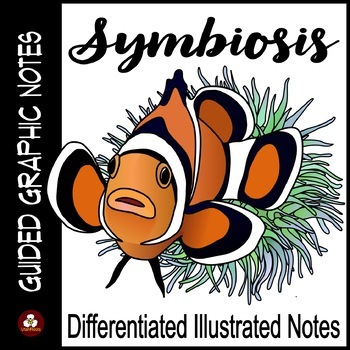 Use these richly illustrated graphic organizers to support student note-taking about symbiotic relationships including mutualism, commensalism, and parasitism. This resource supports the NGSS Standard MS-LS2-2. Guided graphic notes are a great way to help your students make associations between words and visual images. Sketching, doodling, or coloring their notes gives students an opportunity to personalize their learning and improves their retention of the things they are learning. Research shows a powerful memory effect when images and words are linked during the process of learning. notes, or for students who were absent on the day the notes were taken. 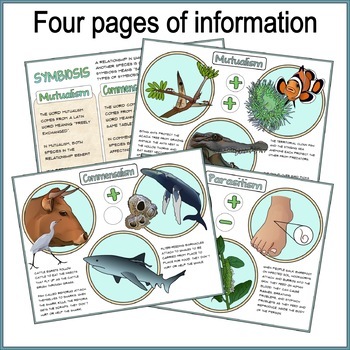 You will also receive four full-color pages to use for a student model for coloring, to create a presentation to use during your lecture, or as mini-posters for your bulletin board. Please take a look at the preview to see the individual pages of the resource in order to help you make an informed purchase decision. For an engaging follow up activity or quick assessment of learning, use my Symbiosis Color-by-Number activity. To see all of my other Guided Graphic Notes resources, click HERE. Connect with me by following My Blog or by following me on Pinterest or on Facebook. •	Please go to your My Purchases page (you may need to log in). Beside each purchase, you'll see a Provide Feedback button. Simply click it and you will be taken to a page where you can give a quick rating and leave a short comment about the product. I value your feedback. It helps me to make resources that meet your needs. An Important Note: I am a 35-year veteran science educator, now retired. 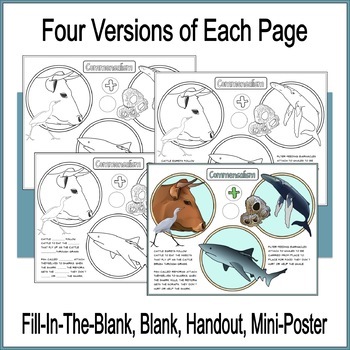 Every resource in my store is my own work and is based on my long experience in the classroom. I respect and obey copyright and trademark laws. Where I have used copyrighted or trademarked text or images I do so under license from and with permission of the copyright or trademark owner as noted on the credits page of every resource that I create. If you purchase this product, you have purchased one license for one teacher. Please do not provide digital or hard copies to colleagues without purchasing additional licenses. Please do not upload to any website where teaching resources are shared or provide hyperlinks on classroom or district websites to any portion of a purchased resource.